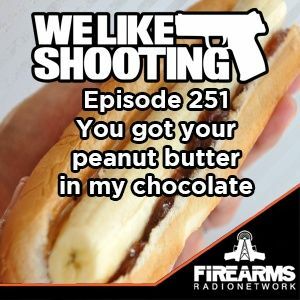 Welcome to the We Like Shooting Show, episode 251. Tonight we will talk about Vortex Strike Eagle 1-6x, PCC Colt STyle Upper Receiver 9MM, DB5000 final form and more! Our panel tonight is Jeremy Pozderac from Dirty River’s Edge Tactical and Range, Savage AF, the Machine-gun moses Aaron Krieger, Nick Lynch, my name is Shawn Herrin - Welcome to the show!